As the Denver Post’s Anna Staver reports, after a brief stir in December when campaign filings tipped off his intentions, former Colorado Speaker of the House Andrew Romanoff is making it official today: he’s running for the U.S. Senate in 2020. Romanoff took a progressive stance on a variety of issues in his announcement, including Medicare for all, immigration reform and renewable energy. He specifically mentioned the Green New Deal to replace fossils fuels that’s being pushed by his former aide, U.S. Rep. Joe Neguse, D-Boulder. One of the architects of the 2004 takeover of the Colorado legislature that led to enduring dominance by Democrats in Colorado politics, there are few Democratic candidates on the bench in Colorado with the long experience both as a lawmaker and a candidate to match Romanoff. In 2010, Romanoff endeared himself to the Democratic grassroots in his unsuccessful primary challenge to now-Sen. Michael Bennet, and he retains relatively good name recognition within the party rank-and-file. It’s an interesting point of trivia that Romanoff was one of the principal advocates for 2005’s Referendum C, a fiscal measure that allowed the state some desperately-needed relief from the Taxpayer’s Bill of Rights (TABOR) to keep programs funded after the early-2000s recession. 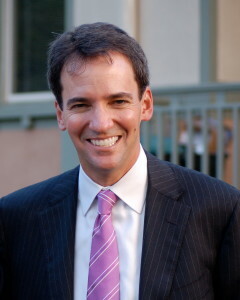 Fresh off his appointment to the Colorado House in the summer of 2005, one of Gardner’s first real campaigns was the failed attempt by hard-line Republicans to oppose the bipartisan Referendum C.
A long Democratic primary lies ahead, but Romanoff stands out among the current field of candidates. Given the history between Romanoff and Bennet (or perhaps more accurately between their supporters), it could be an interesting dynamic between the two should Andrew get the nomination and go on to beat Gardner. I wish Andrew all the best — I hope he's learned a lot since his CD-6 campaign. Now that we've run off (or their contracts weren't renewed due to ineffectiveness) most of the Russian trolls, we should test the political spectrum of the current contributors once again. You are a left social moderate. I'm only laughing because we're actually similar. (in the same quadrant, at least). Scary, isn’t it? Maybe we have more in common than either of us would like to admit. I am a far-left moderate social libertarian. you are a centrist social libertarian. I took that test in 2016. I was into the lower right quadrant. 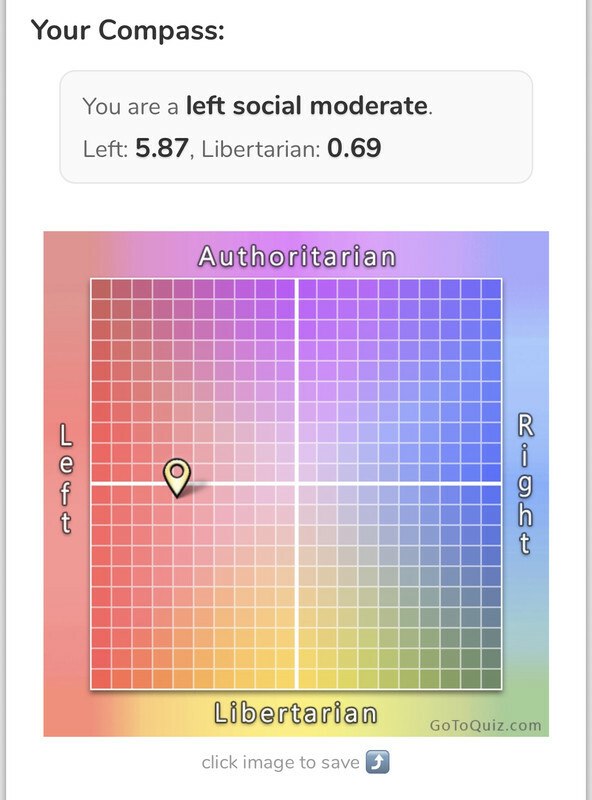 Also left social moderate, left 4.24, libertarian .86. 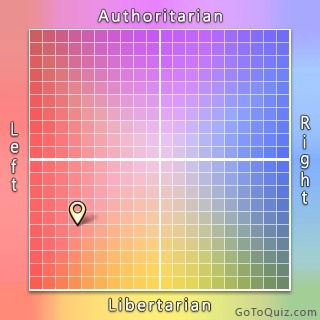 Left social libertarian; 5.47 left, 4.28 libertarian. Additionally, -5.74 on foreign policy (halfway towards non-intervention), -7.74 on culture. you are a center-left social libertarian. With LOTS of the statements leaving me with "well, it depends." Yes, I wrestled with the wording of many questions that were couched as absolutes, lacking nuance. Better not make that the campaign theme – CD1 maybe. Statewide? pretty sure there are some people here who will believe what they here and feel tht O&G will be threatened. And Socialism! One winner, one for next time. Channeling Nancy Reagan: "Just say no". Until we get a ranked preference ballot with "none of the above" as one of the options "no" is not a realistic answer. The competition so far is Lorena Garcia, Michael Johnston, Keith Pottratz, and Trish Zornio. Who do you like better than Andrew Romanoff? There might be some "perfect" candidate I like more later on, but of the people actually running so far Romanoff would be my pick. I like Hick the best, but he is not running. I will vote in the Democrat primary and I will vote for the person most likely to beat Koch Sucker™ Cory. So-so answer Dave. Hickenlooper could probably beat Gardner but he is too busy being a moderate. Have you already forgotten everything you’ve written here? Hick is only too old for President. I don't give a crap about age of Senator. Andrew could be a decent choice but has the smell of a loser about him. Romanoff lost in 2010 when Obama pumped $8 million into Bennet's campaign. (Obama (Rahm Emanuel) was picking favorites in a number of senate races around the country, and they were all losing. The press was starting to make fun of his choices. He was damned if he going to lose in Colorado, it was the last primary (August of 2010). Big time Loser: Abraham Lincoln lost his US House seat after one term, and then lost his race for Senator of Illinois. I confess I volunteered for Romanoff in 2010 because I saw Bennet as far too conservative (borne up by a number of his votes, a number of which infuriated me). This web page was so very very snarky towards Romanoff….but in time I think you've all seen that Bennet has never been a real friend of progressives. He's only showing some zest now because he's got the Presidential gleam in his eyes also. In fact, Lincoln didn't lose the race for Senator from Illinois– because there wasno race. In those days, legislatures elected senators. The democrats won the legislature though Republicans got more votes. Southern Illinois was democrat and stagnant, northern Illinois fast growing but de facto gerrymandered because the 1850 census applied. With no direct election of senators, lincoln won a i mpressive moral victory but Douglas went back to the Senate. Romanoff trails Cory in the ever important smile and hair cut dimension. One of the few areas of Gardner consistency.